Maintaining academic mission is the top priority for academic medical centers which is becoming more and more difficult in a demanding industry that is constantly looking for operational efficiency and oftentimes struggling on the leadership front. At the same time, they have to run large urban and suburban hospitals. These hospitals provide different challenges and it requires a lot from an academic department. How can you stay ahead of challenges and empower your facility? 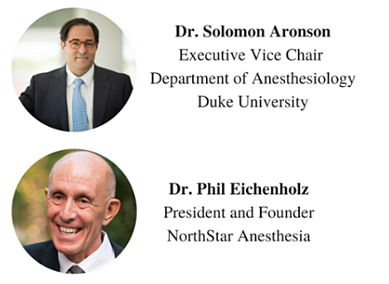 Join Dr. Phil Eichenholz, founder and president of NorthStar Anesthesia, and Dr. Solomon Aronson, Executive Vice Chair, Department of Anesthesiology, Duke University, for a 60-minute webinar where they’ll provide insights and tools that will help you run a more efficient academic OR Department. How to prioritize the academic mission while creating leading best practices. How to hold the faculty accountable for a service driven culture. The importance of partnerships and affiliations. How to leverage mid-level providers to optimize profitability.